It seems it can distinguish between friendly and hostile behaviour. Put one of these on a robot and let it roam the streets and we will live in a peaceful, though somewhat inhibited society. The idea is to get children and young people around the world to submit ideas and work together collaborating on movies and projects to get it sorted. Have you ever had to get your movies translated into another language? Subtitles are not great because you miss the action while reading them. Dubbing is not all that good as it is usually obvious that the lips are not in sync with the sound. In live-action the background actors can sometimes get by saying 'Rhubarb, rhubarb' and making suitable gestures, but it's a problem yet to be solved. As I am severely deaf, I have learnt to lip read to a limited extent. I never took lessons, but often watch TV with the sound off. It works OK with news readers but not so well with actors; so I am always interested in new ideas related to hearing. One idea I read about yesterday at http://www.newscientisttech.com/article/mg19225755.800-its-the-next-best-thing-to-a-babel-fish.html describes a method whereby the speaker simply mouths the sounds in one language and it gets instantly translated into another language. The method is not yet perfect, but the potential for the Movies is fantastic. As it depends on facial movements instead of sound, then an actor could be connected to many machines and do translations into dozens of languages at once. A step further would be to record the facial movements for a given actor and apply these to an avatar. For the technically minded you can look at http://www.mcrlab.uottawa.ca/papers/ACM-postr3.pdf dealing with Virtual Reality. What will they think of next? Well, if you want to find out then take a look at Lip shapes . An interesting article in the nerdy news today about computer face-recognition. Look on www.MyHeritage.com for details, and on http://www.saynotocrack.com/index.php/2006/10/23/celebrity-look-a-likes-part-i/ for the article. Put up a photo of your face and it will compare it to a list of celebrities to see who you look like. Someone tried it with some 3D animated characters. This is one with the teletubby who seems to come off well by comparison. The system works by comparing the face with a list of celebrities who have already been digitised. I tried the program using 2D characters but it doesn't work, but if it did, it seems to be a good way to find those elusive cartoon characters who you can't remember the name for. I wonder if the system might be extended to check movements such as walk-cycles. If it could then it might be able to guess someones age, gender, height, weight, etc reasonably well by the way they move. That could be useful in looking for people in a crowd, a bit like spotting car numbers as they move. A step in that direction has already been made, which you can check out at http://www.3g.co.uk/PR/Jan2005/8955.htm. Today I came across a news item at http://infolab.northwestern.edu/project.asp?id=40 . 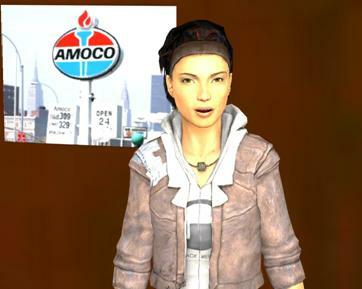 It is about news casting with computer generated characters. Aparantly news items gathered by search engines are transcribed from written text to spoken text - as against simply reading the written text; Clever!!! Even as I was reading the article it ocurred to me that it would be nice to scan in a novel and have it instantly turned into a movie. But that is an obvious application. It would be pretty useful to have technical data spoken to you on how to operate your washing machine, or what your mortgage contract is actually saying. Only last week I read of a handheld computer used by troops in Iraq that can do instant translations, so put them together and you could talk to anyone around the world using a nice looking version of yourself. It seems to me something that could put the Generals out of work. I have always felt that animation can save the world, and it is certainly making inroads into crime. A recent article stated that video tapes of criminals caught on CCTV are now having their walks analysed by computers. We all have a walk cycle as unique as our fingerprints so it seems a good idea. What else can be done? As CCTV cameras don't have sound they can't capture voiceprints, but that can't be too difficult to do. A couple of years ago we ran a workshop called 'Kids Crack Crime' getting young teenagers to suggest ways of catching criminals, and making a short cartoon of it. The project went well, the group we worked with won the Guy Ritchie Award. I look forward to 'Crime Watch' being shown with Computer generated presenters, with the crimes being re-enacted by avatars. We might soon be calling Reality 'Virtual Fantasy'. In the distant past, Animation studios were commonly housed in major Film studios, and did such jobs as titles, credits, transitions, and the odd Special Effects; animation was not about entertainment for them. Though there were studios making entertainment cartoons, they were few and mainly in the USA, but they did have a market. Before the war a normal cinema programme was the B film, a cartoon, and the Main film. Better cinemas had a cinema organ that played during the interval, and young ladies would sell ice creams and chocolates. During the show they would walk up and down the isle squirting perfume. At the end of the show the National athem was played, and everyone had to stand up, though many would rush out just before. It was always a memorable experience. Oh yes, and you were also banned from eating fish and chips. If you were seen taking them in they had to be left at the Box Office and picked up on the way out - cold and tastless by then. The cartoons were mainly Disney or Warner Bros, but in my town there was a small cinema that only showed short films; cartoons and live-action comedy like 'The Three Stooges'. The show lasted an hour, and cost 3 pence for children. I was nine, and my mother would put me in there when she went shopping. On one occasion I forgot to come out, and the usher had to walk up and down the aisle shouting my name. Apart from the that, my other weekly cinema outing was to the children's Saturday morning show that many cinemas had. They had serials like Buck Rogers, Zorro, The Lone Ranger, and one called 'The Clutching Hand' which frightened me so much I would duck down behind the seat until the nasty bit was over. During the war going to the cinema was a bit of a hazard. If the sirens went you had to get out; often just as the film had started. You never got a refund, and with very limited transport at the time, going back to see the film was rarely an option. The main entertainment was the radio; and during the war the top show was ITMA with Tommy Handley (top image) who preceded the Goons, Monty Python, and much of what goes as 'British humour' today. He was easily the most famous person in Britain during the war. 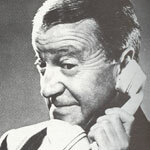 His scriptwriter - Ted Kavanagh - was also a celebrity, and made me aware that 'scriptwriting' was actually a profession. At the time I was about thirteen and hoped to be a cartoonist, but the small cinema and ITMA had set the seed for my later life.